A group that claims to track the mythic ape known as Bigfoot through the hills and hollers of Western North Carolina says they finally spotted the creature over the weekend in McDowell County. According to the group, which operates a Facebook page called Bigfoot911 with over 1,000 members, the sighting occurred around 11 P.M. Friday night. John E. Bruner, who runs the page, said the creature made its presence known after he and fellow group members set up glow sticks at various locations in an apparent attempt to lure the Sasquatch in. 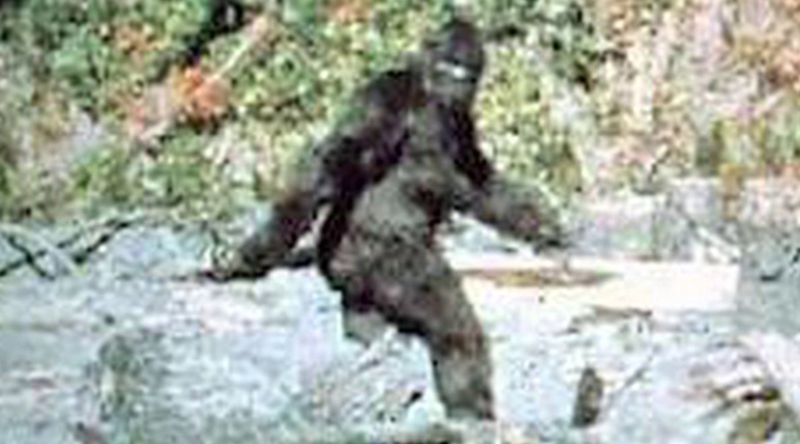 Bruner went on to state that he and fellow Bigfoot enthusiasts proceeded to track what they claim was a large, bi-pedal ape not recognized by modern science through the dark forest.